What is a portable kit? A portable kit number has been created to make ordering easy. 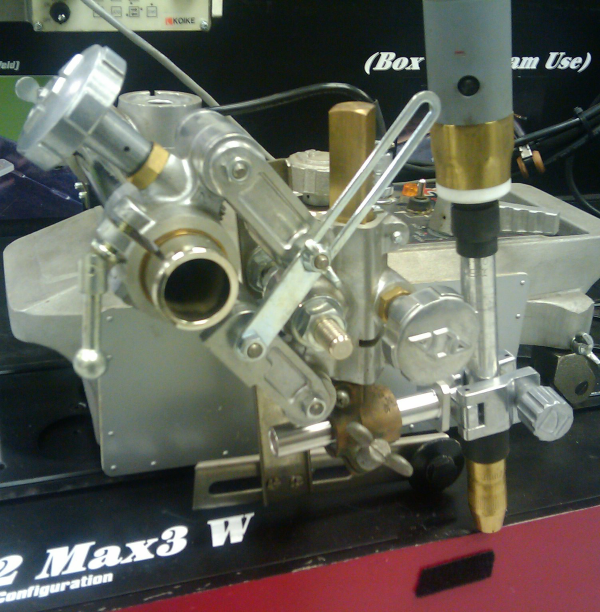 It identifies several main sections of the portable machine unit. Why are there only three (3) wheels on the IK-12 Max3? The IK-12 Max 3 is designed to be used with three wheels. By triangulating the contact points an even amount of pressure is distributed between the larger diameter wheels resulting in more stable travel and better traction. 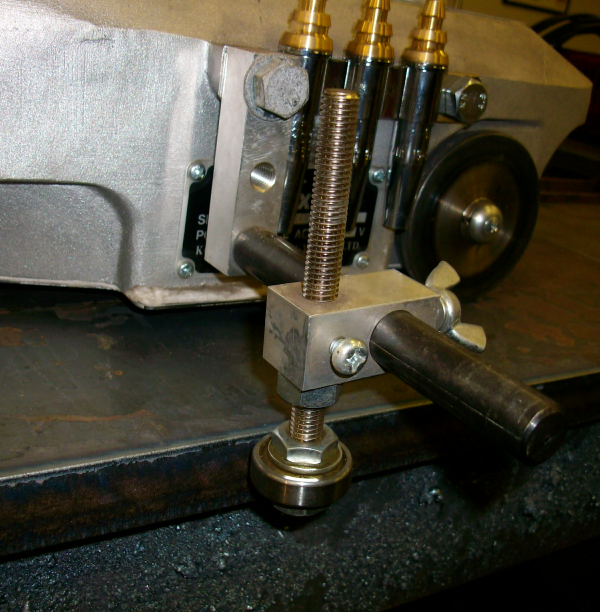 The "extra" mount for the idler wheel is used with the IK-12 circle track, but not with the straight track. 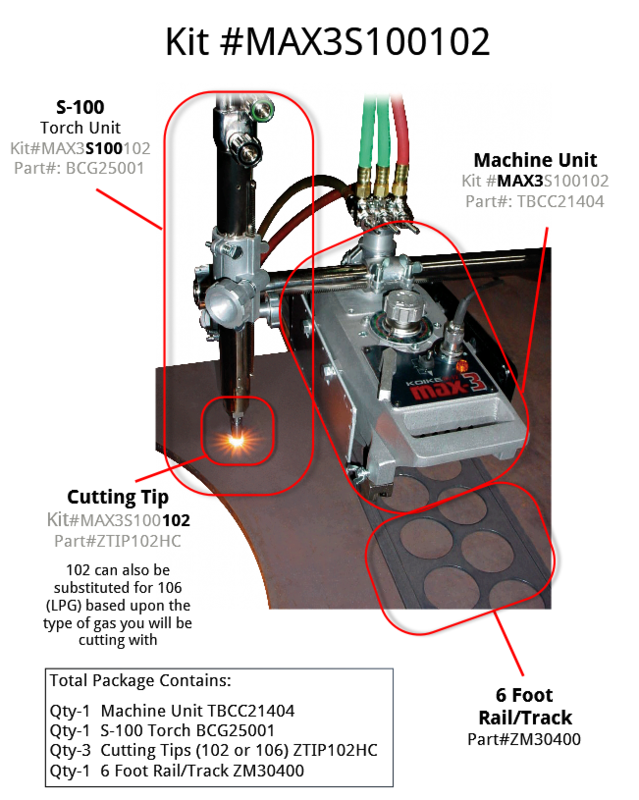 How do I convert my IK-12 Max3 oxy fuel portable cutting machine to welding? If you already are using a "S" Series (S-100, SP-100, etc) torch set, you can remove the oxy fuel torch and insert a MIG torch holder (Part#61000676) and a Bushing (Part#ZM61282) to mount a welding gun. The welding function can be triggered by the torch trigger or a remote pendant from the welding manufacturer. Please contact our Customer Service Department for using other Welding options including interface boxes and Roller Brackets. Can I put a plasma torch on an IK-12 Beetle? 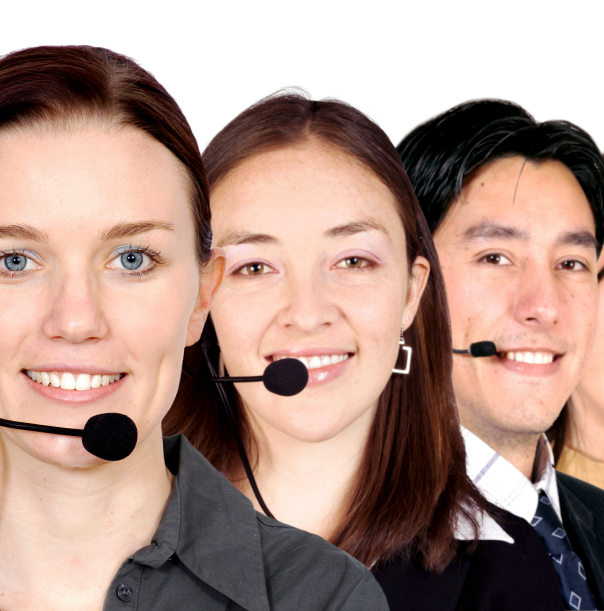 Contact Customer Service toll-free 800-252-5232, ext. 440 or 585-492-2400, ext. 440. Can I put a plasma torch on the Picle-1-II? 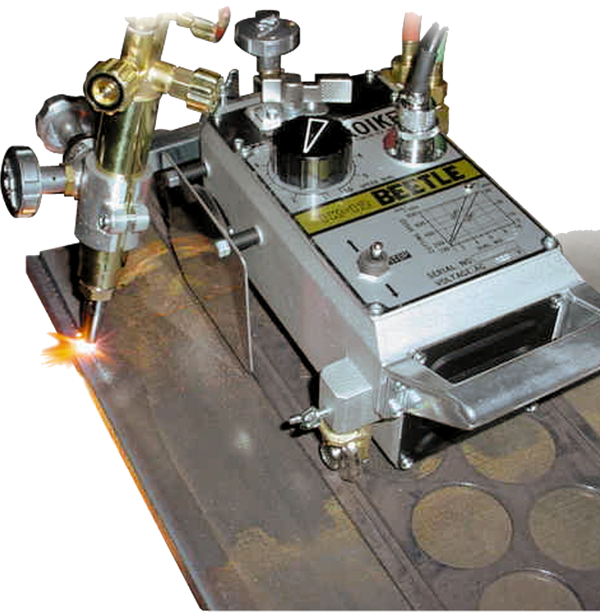 The Picle-1-II will not do plasma cutting as this unit is manually operated and runs too slow for plasma cutting. 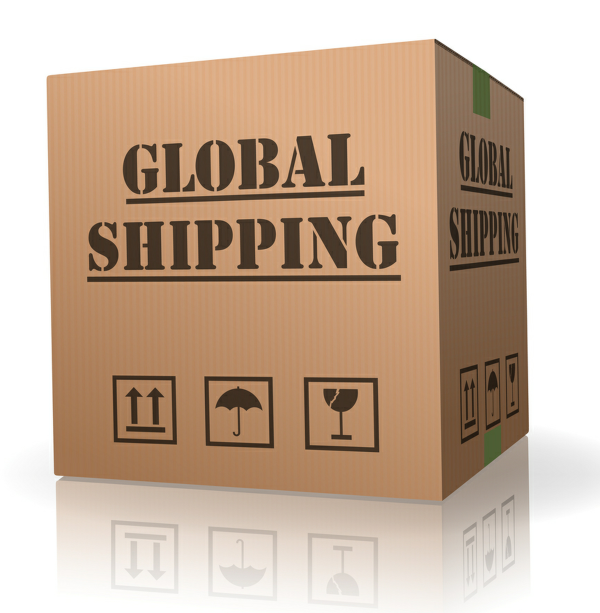 Where can I obtain freight charges? Please contact our Customer Service Department at 585-492-2400, ext. 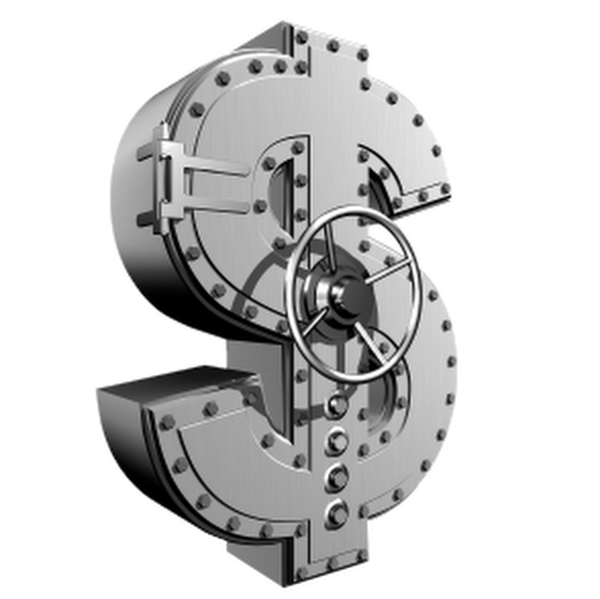 440 or call us toll free at 800-252-5232, ext. 440 to obtain freight charges during business hours. Where can I obtain pricing for Koike portable equipment or gas apparatus? Pricing is available from your Koike Aronson Ransome Manufacturer Sales Representative or your local distributor. 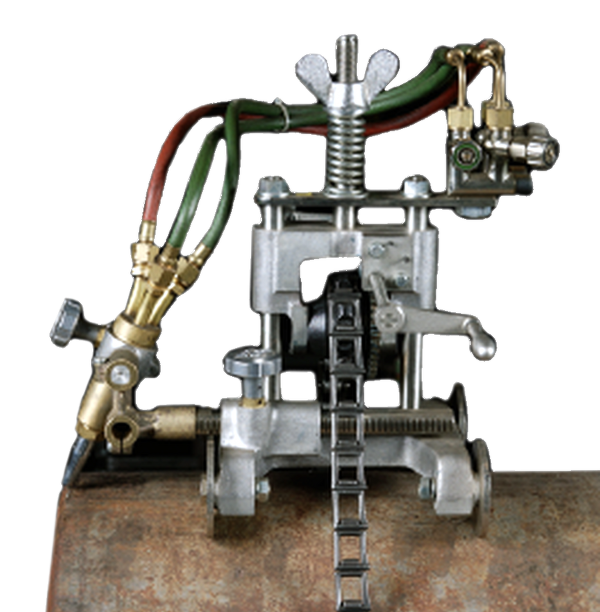 Where can I obtain part numbers for portable machines, gas apparatus or replacement parts? Please contact our Customer Service Department at 585-492-2400, ext. 440 or call us toll free at 1-800-252-5232, ext. 440 to obtain freight charges during business hours. Where can I obtain weights and dimensions for Koike's portable machinery? 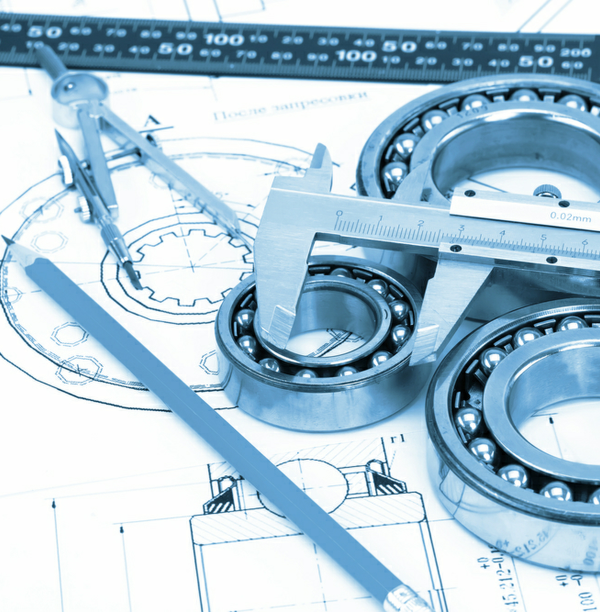 Please click here to download a PDF document containing weights and dimensions for our portable machinery. If you are unable to find an item, please contact Customer Service at 585-492-2400 or 1-800-252-5232, ext. 440 during business hours for assistance.